Many startup entrepreneurs take order fulfillment lightly without understanding its dangerous impact on the business. I would tell you that this particular aspect is error-prone. Picking, packing, boxing, shipping … these are repetitive tasks that your team will have to perform every time a customer places an order. It can be a tedious workflow, and a well-organized system must be designed to prevent costly mistakes. Each step is crucial: from receiving the order until the product is shipped to the customer. As I’ve mentioned, fulfillment is an error-prone area and most of the time, the mistake starts with improper management of inventory and warehouse. When I started my first ecommerce venture, my warehouse staff was without any formal training. We taught ourselves everything and we learned the hard way as we did what most companies do which is figure it out as you go system. I am sure that it caused undue stress, lost revenue, lost profits as well as made our customers irate with us. It is difficult to set up a standard of quality inside the warehouse premises. It is time-consuming to train new employees when procedures are unwritten. You’re repeating the same verbal instructions many times to different people. 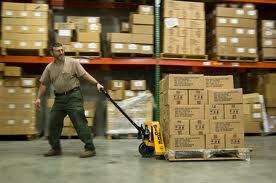 It is difficult to process orders since the warehouse employees are not following a common procedure. It is difficult to measure the performance of each fulfillment staff. It’s hard to define quality control as well as accountability. It is difficult to identify the causes of errors and find ways to eliminate and correct them. It increases the rate of incorrect or incomplete orders. It increases the expenses to the business due to inventory and shipping errors. Even if your ecommerce store is at its infancy, I would advise you to begin drafting your business’s systems and processes especially on the fulfillment area. Don’t wait until the procedures get complex and start as early as you can. It’s hard to break bad habits that have been adapted because people resist change. What specific workflow are you creating? Answer: Fulfillment. What are your goals and purposes? Answer: Reduce the average turnaround time for customer orders. Who are the people involved? Answer: Warehouse manager and fulfillment team members. What are the particular steps to consider? Answer: Receipt of order, verification, inventory, quality control, packing, shipping, and shipment tracking for CSR, etc. How does it create value for your buyers? Answer: 100% accuracy in all customer orders, less shipping costs, etc. How do you make the workflow easy to understand? Answer: Make staff training as part of your business process, make sure that staff gives feedback in areas that are not working, sometimes it’s not because a company doesn’t have a system, it’s because they have outgrown their system and have NOT made the adjustment to the new workload and/or volume of orders. How do you measure the effectiveness and efficiency of your workflow? Answer: Metrics are implemented to ensure that employees are adhering with the standard operating procedures. The questions and answers that I provided are all samples and “generic.” The point is: you have to see the big picture before you actually start designing your fulfillment workflow. It is a lengthy and complex process as you have to consider the people and departments involved in every step. It can also be costly if you don’t have one. My clients are learning this and are now making it a priority in their business to connect all processes within their organization and not just within each department. The thing about creating a workflow is that each step must be accurate, or else, all the other steps will be useless. So, if you could find a workflow system (used by already successful ecommerce stores), don’t hesitate to use it as your model and guide. Modify it according to your business requirements. Asking an expert is also better than learning it the hard way. Check out this ecommerce fulfillment workflow to see a sample ecommerce workflow chart which I’ve used in my previous company. Let me know if you find this useful or if you have better ideas.